Consumer attention and the contents of their wallets have been the battle ground for advertisers since advertising began – but now, by using intelligent imaging techniques, tailored advertising strategies can be applied. This is increasing the success rate of an advert and also, depending on your point of view, is beneficial to the consumer by identifying fundamental characteristics and selectively displaying content relevant to that potential customer. Features such as approximate age and gender are pulled from images by the system’s algorithms, helping it decide on the customers demographic and which adverts to show. However, the technology used has been reapplied from the more saturated security market, which raises questions of privacy. The issues are largely fuelled by negative publicity surrounding this type of advertising strategy. The UK supermarket chain Tesco began using such systems, which prompted a range of mainstream media to compare the technology to the 2002 Tom Cruise blockbuster Minority Report. In the film recognition software is used to tailor adverts to specific customers. Previous purchases are remembered – as well as the demographic data – and this is used to create a personal advertising experience. The fundamental difference is that a typical system doesn’t store any personal information about a person and it normally doesn’t store any images. The technology could be linked to security systems, but this means it has to abide by the same legislation as the CCTV operations. He continued: ‘I often liken it to what you see in supermarkets. They may have a stand of samples, perhaps it may be a baby-related product, and so the salespeople would actively target people with children in pushchairs. Or the perfume and aftershave salespeople in duty free at airports; the perfume seller won’t target men, it’s more likely to be the aftershave sprayed in your face. They will know the target market that they want to aim at with their advertising which is what we are doing but in a digital way. Today’s technology looks at a person’s face once an image is captured by a camera. Using patented algorithms the system then decides how old the person is, their gender and other defining characteristics that can be used to monitor the kinds of people passing the camera, or simply to select relevant adverts. Argus uses two way communications between the camera and the rest of the system. The cameras are providing roughly 15 frames per second, and the system is set up to cater for around 25 faces in a frame. Once a face has been detected, the system enhances the face image and only when the quality of the image is maximised does the system apply the algorithm to determine age, gender and other characteristics. This means that multiple cameras could be used to decide the rough demographic of the clientele in a shop at any given moment and select adverts based on what is relevant to the collective. Or, a personalised version focused on the person stood in front of the system could be created, optimising advertising on a case-by-case basis. Further to this, the data could be used just for the shop owners to understand the type of people that are entering their shop, with a report being printed out at the end of the day breaking down the selected data. Argus Global has been involved with biometric system integration since 1997 and its systems have been deployed worldwide in high security facilities such as prisons and police forces where the identification of people is paramount. Coombes said: ‘Our reputation and company brand comes from our successes in high security markets where misidentifying people is simply not an option. 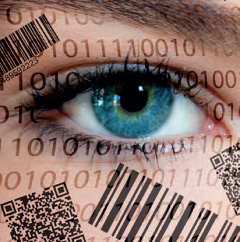 When entering the vertical market of retail analytics, which is more about supplying data about consumers in an anonymous manner, we applied the same approach as we have always done and that is to ensure that we work with best of breed providers.’ In the case of face recognition, Argus chose to work closely with German-based provider, Cognitec Systems. Face recognition has been used in these types of high security applications for many years. But this differs from the newer directed advertising field because instead of extracting an image from a passport and comparing it to a live image of a person for airport security, Coombes clarified that, while the same technology is used, none of the data is stored and it is completely anonymous. However, as the market became saturated because of more companies entering the field and more competitive because most people that needed the technology already had it, manufacturers began looking at other areas and other industry verticals that would provide additional growth. ‘There is a difference between what Cognitec do that separates it from much of the competition,’ Coombes stated. ‘There are lots of people that are entering the marketplace that you’ll see using IP [internet protocol]-based cameras that are used to feed information through to the software. Let’s say for argument’s sake that one algorithm is as good as the next, the next differential is the quality of the information you are providing to that algorithm. As a rough rule of thumb: poor quality data in equals poor quality data out. He also said that CCTV cameras don’t tend to have fixed focal points; PTZ cameras give the flexibility to focus on different points within a store or to focus on different areas whereas the machine vision cameras with fixed optics can be optimised to give the best performance from people walking in front of a camera. Argus also prefers to use a global shutter as there is reduced blur. Intelligent advertising and camera technology is enabling not only selective media campaigns, but deeper engagement of the audience as well. London-based 18 Feet & Rising was tasked with creating an advertising campaign for the car manufacturer Škoda with the platform, ‘the car that will steal your attention’. The result was a split screen video of Škoda’s cars in different environments, but by using eye tracking technology from the technology company B-Reel and borrowing the user’s webcam, viewers could find out which of the videos attracted their attention. In terms of implementation, all creative responsibilities including film production, were developed by 18 Feet & Rising in London working with production companies in the Czech Rep and Portugal. The bespoke technology and builds were handled by B-Reel, in collaboration with Škoda’s CMS system in order to enable implementation. 18 Feet said the project was a success. On day one of the central European site’s launch, unsupported by any media spend, the site received three times as many unique visits as their previous campaign – which was supported with media – received in two months. 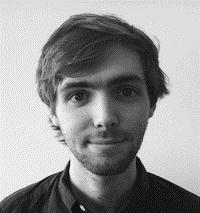 Tom Eddershaw is a technical writer for Electro Optics, Imaging & Machine Vision Europe, and Laser Systems Europe. You can contact him on tom.eddershaw@europascience.com or on +44 (0) 1223 275 478. Find us on Twitter at @ElectroOptics, @IMVEurope, @LaserSystemsMag and @ESTomEddershaw.